People are often so caught up in the day to day of operating their business that they find themselves in a scattergun pattern of communications. Much, much more effective is a strategic and thoughtful communications plan that’s aligned to broader business goals and has audience and messages at the core. Good communications facilitates and enables business success- people need to know about you, how you can help them, and this involves communications. Writing websites is probably one of my favourite services, but communications planning gets me just as giddy. I absolutely love the work process involved in nailing someone’s business communications to help them tell their story and grow their business using beautiful, effective communications. A fabulous communications strategy aligns target audience, key messages and ideal channels with the overarching aim of meeting business vision and goals. It integrates strategy with tools, activities and evaluation methods and builds a brand, and grows a business. It gives a clear framework to get your message directly to your dream client. There’s a whole lot of idea-bouncing and brainstorming, tweaking of existing business communications, and a ton of clarity, direction, a renewed sense of communications inspo. My clients have distinct goals and strategies for their business, but often feel like they lack the communications skills to showcase what they do in a way that their ideal client responds to. 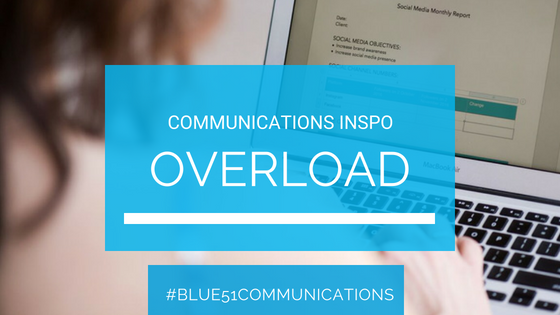 I provide communications support as once-offs, or for clients who love some accountability and a touch of homework to keep their communications on track I meet as regularly as they’d like. It’s so important to have a communications strategy that is aligned to the broader strategic business plan. A good strategy will have the information and detail for implementation over time, and result in a tangible air of smugness, knowing that a business is supported by strong, effective communications. 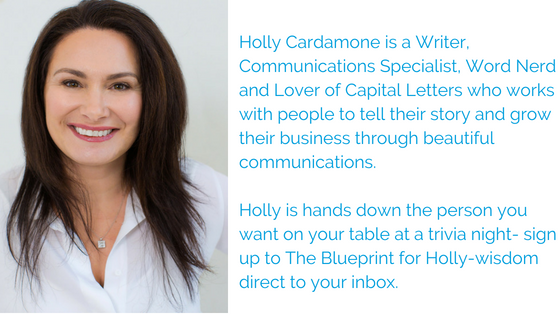 Tell me, do your communications set you up for what you would like to achieve in your business?